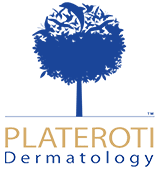 Are you interested in learning more about the TCA and Jessner peels offered at Plateroti Dermatology? Contact our office in Templeton today for more information or to schedule a consultation with a member of our team! A TCA peel, or trichloroacetic acid peel, is one of the strongest chemical peels and penetrates deeper into the skin to address more severe signs of age and hyperpigmentation. This chemical peel removes the top layers of the skin to reveal the healthy, undamaged skin below. There are various concentration levels and strengths of this peel that can be used to address a variety of skin concerns. Some skin conditions may require multiple treatments in order to achieve optimal results. We will customize each TCA peel to each patient, using a customized percentage of TCA solution based on the patient’s skin type and desired results. First, we will thoroughly cleanse your skin and then apply the TCA solution. The solution will be allowed to penetrate the skin for a specific period of time, depending on the condition being treated and the strength of the peel. You may experience a mild to moderate stinging sensation for up to a few minutes once the TCA solution is applied to the skin and your skin may be red and sensitive for the remainder of the day. Following your TCA peel, we will advise you on how to best protect your skin as the old skin peels away and new skin is revealed. What can a TCA Peel be used to treat? You may experience some swelling, tingling, itching, and redness during the peeling process. These side effects are temporary and typically resolve on their own. You should use additional sun protection if you plan to be exposed to the sun, as a TCA peel increases the skin’s sensitivity to sunlight. If you have sun damaged skin, visible signs of age, or uneven pigmentation, you may be a candidate for a TCA peel. During your consultation, we will review your skin concerns, skin type, and goals for treatment and determine if this is the right aesthetic treatment for you. Jessner peels are milder than TCA peels and are recommended for patients with darker skin tones or for those who suffer from melasma. Jessner peels can be used to improve the tone and texture of the skin, reduce the appearance of large pores, and improve the appearance of fine lines and wrinkles. In order to achieve optimal results, we recommend a series of five to six peels scheduled once a month. What can I do to prep my skin for a series of Jessner peels? You can start preparing your skin for a peel with our brightening lotion that contains two to four percent Hydroquinone, along with botanicals, antioxidants, and Retin A, which will help begin sloughing off your skin in preparation for your peel. Our brightening lotion will also help lighten dark spots and improve the overall tone of your skin. Dr. Plateroti suggests beginning on a Hydroquinone Brightening Lotion regimen at least two to three months prior to your Jessner peel series; the sooner you begin prepping your skin, the better the results! Do you want to find out how you can benefit from one of the TCA or Jessner chemical peels offered at Plateroti Dermatology? Contact our office in Templeton today for further information or to schedule a consultation with a member of our staff. We look forward to assisting you!